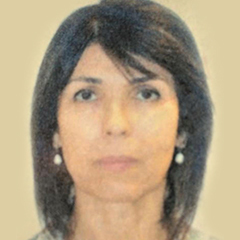 Lígia Ketzer Fagundes was born in Porto Alegre, RS, Brazil in 1961. He graduated in History (1982) at the Federal University of Rio Grande do Sul. He holds a Master’s degree in Museology (2014) from the Ibero-American Institute of Museology and has a Specialization in Museology – Cultural Patrimony (2002) by the Federal University of Rio Grande do Sul. In 1993, she started working at the UFRGS Museum where she currently works as a historian. Since 2008 she has been the coordinator of the education sector and since 2011 she has been working in the coordination of the Network of Museums and Collections of UFRGS – REMAM. Acts and investigates in the areas of History, Memory, Museology and Education. This research aims to analyze the social function of the UFRGS Museum, a brazilian university museum, investigating in its biographical trajectory the museological practices, projects and socially constructed exhibitions. The UFRGS Museum has the characteristics of articulating and connecting the cultural heritage of the university, building and potentializing exhibitions and museological projects in a shared and interdisciplinary way with the purpose of placing the collections, collections and knowledge built in the university available to society. The Museum has never built a permanent exhibition with the collection on which it has a direct attribution. The museological actions carried out along its trajectory led to the re-signification of many collections and museological spaces, connected several interdisciplinary groups and research areas and led to the organization and articulation of a network of museums and collections at UFRGS – REMAM. Based on reflections on memory, social museology, university museums and organizations in network was constructed the biography of a university museum, understood as living institution, in movement and transformation.